Even though the Golden State Warriors' historic NBA Championship win was over a week ago, Oakland can't stop celebrating. There's still yellow and blue confetti littered all over downtown, people are setting off the last of their fireworks, and five up-and-coming East Bay artists recently joined forces for a musical homage to the Dubs. 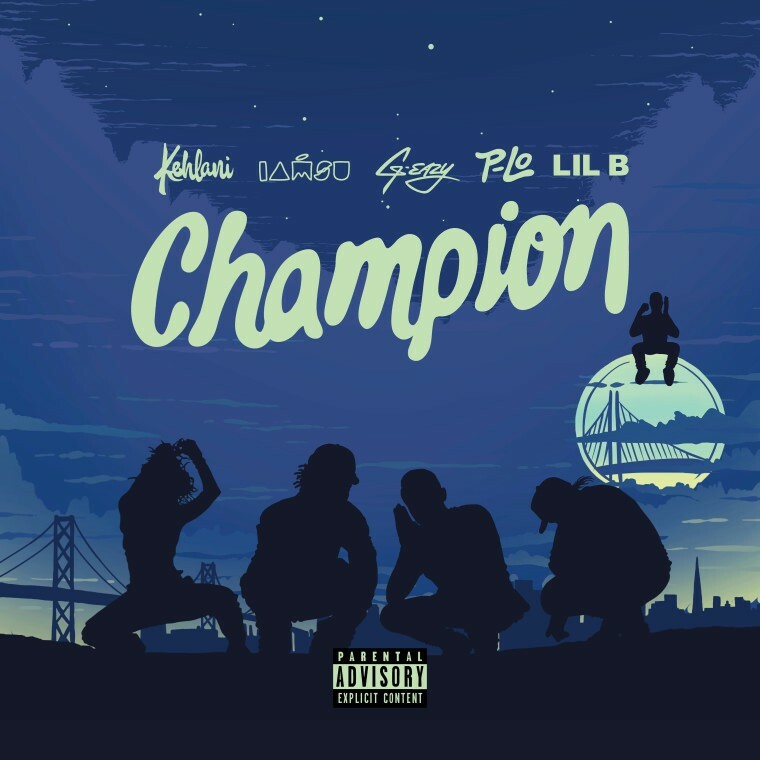 Titled "Champion," the underdog anthem features triumphant verses from singer Kehlani and rappers Iamsu!, Lil B, and G-Eazy over P-Lo's synth-heavy production. The artists quietly released the song last night on Kehlani's SoundCloud, and it brims with East Bay pride and Steph Curry references. Iamsu! 's hook aptly sums up fans' reactions to the Warriors taking the NBA title for the first time in forty years: They put me in the game, so I'ma play/ I'ma do it one time for the Bay/From the place where they say it can't be done/Make no mistake, I'm a champion. The only thing that could have made the song more perfect would be if it had come out before the Warriors parade last Friday.